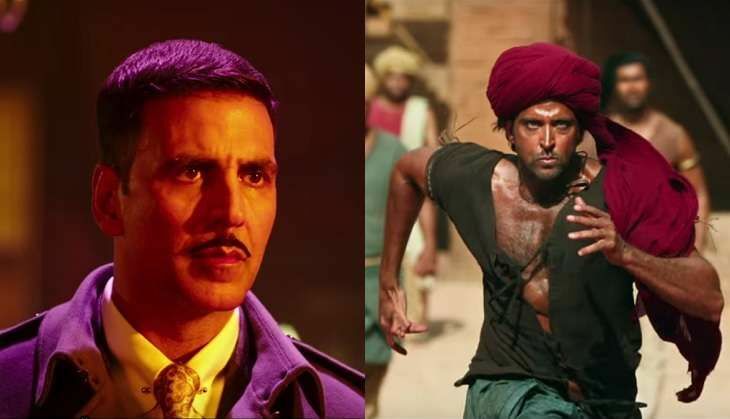 In September 2015, the producers of Akshay Kumar's Rustom announced that the thriller would clash with Hrithik Roshan's Mohenjo Daro at the Box Office during the Independence Day weekend. Bollywood trade analysts hailed the clash as a suicidal move and warned that Rustom may not be able to compete with the Hrithik Roshan - Ashutosh Gowariker combination - after the hit that was Jodhaa Akhbar. After the announcement, speculation was rife that the release date of Rustom may be moved up by a week - a move which would mean a solo release for Mohenjo Daro. But that did not happen. In June, the producers of Mohenjo Daro launched the theatrical trailer of the period epic. Despite the hype for the film, the trailer received mixed reviews, with sequences from the film being mocked on social media. On the other hand, the theatrical trailer of Rustom was appreciated by viewers and trade alike. The first Rustom song to be released, Tere Sang Yaara, sung by Atif Aslam, instantly won over the viewers - a feat that Tu Hai, the first song to be unveiled from Mohenjo Daro, failed to achieve. Many in the trade had initially predicted that Mohenjo Daro would overshadow Rustom at the Box Office. But both films seem to be carrying an equal buzz among the viewers. Mohenjo Daro will have an upper hand over Rustom in terms of the screen count - thanks to the backing from UTV. The period drama has a universal appeal, as opposed to Rustom, which will not find many takers in the rural belts. While the initial reports fuelled speculation that Ashutosh Gowarikar may have hit the jackpot with Mohenjo Daro, the lukewarm response has dampened the anticipation to a great extent. To put things in perspective, Mohenjo Daro was initially expected to garner opening collections of Rs 20 crore at the Box Office. However, the expectations are now down to a Rs 12 crore opening. On the other hand, Rustom was expected to open with Rs 8 crore, a figure that has now gone up to Rs 10 crore. It will be interesting to see how the films open at the Box Office. If the present scenario is anything to go by then the Independence Day weekend is all set to see a clash of equals at the ticket window.